3 Bedroom Semi Detached House For Sale in Rotherham for Guide Price £160,000. 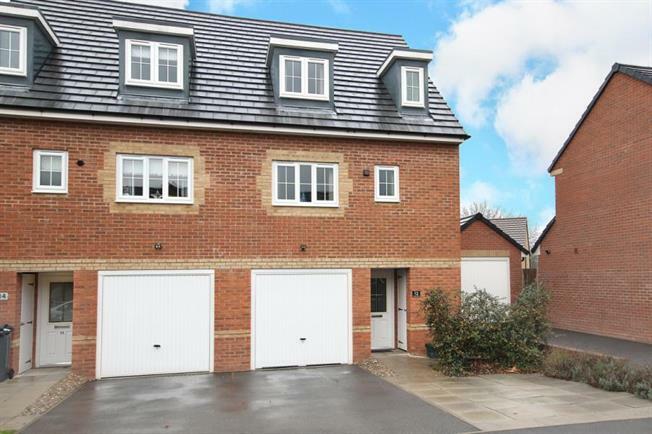 Of interest to a varied purchaser is this deceptively spacious, three bedroom, three storey semi detached family home. Positioned on this newly established development. Giving access to local amenities and transport links. The well appointed property briefly comprises of entrance hall with stairs to first floor landing. W.C having a two piece suite. Dining kitchen having a range of fitted wall and base units in walnut effect, including integrated fridge freezer, oven, hob and extractor and French doors to garden. First floor landing rear facing lounge, double bedroom two and family bathroom having a white three piece suite. Second floor landing with master bedroom having en suite shower room with white three piece suite and bedroom three. Outside there is off road parking to the from leading to intergral single garage. And to the rear of the property is a lawn garden with patio area.